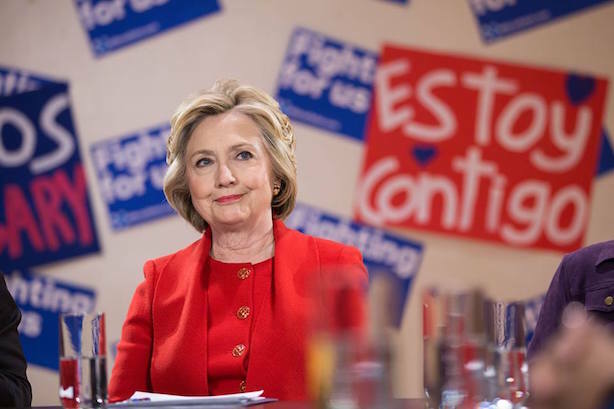 Allison+Partners expands to Germany; Clinton clinches Democratic nod; More executive changes at Twitter; Edelman rolls out public affairs platform; Trump conference call on heavy-handed Trump University response leaked. The MDC Partners agency has established a presence in the German market by acquiring Berlin- and Munich-based agency Higher Ground communications, it said Tuesday morning, making Allison the latest firm to move into the country. Edelman and Golin made moves to create footprints there in recent months. Higher Ground will drop its branding, but its principals will stay on with Allison. Hillary Clinton reached the delegate threshold needed to claim the Democratic nomination for president on Monday night, according to counts by the Associated Press, CNN, and other media. Bernie Sanders’ camp criticized the press for a "rush to judgement." Insiders are questioning how the news will affect turnout in the six primaries happening today, most notably in New Jersey and California. While many Sanders supporters are angry at the media, their candidate is softening his tone about his post-Tuesday plans. Twitter product head Jeff Seibert has exited that role, according to Recode, which reports he is instead managing Twitter’s product development suite, Fabric. The company does not have a full-time replacement in line for Seibert, who was the fourth person in the role since 2014. The agency’s global public affairs practice rolled out Edelman Edge, a research and analysis tool designed to give clients local insight into international public affairs issues. The firm says the tool is "built on local expertise and knowledge" and will give clients insight into 25 political, economic, social, and cultural drivers. Donald Trump told surrogates to respond forcefully to attacks on his comments about the judge in the Trump University case, demanding they call members of the media and other critics racists, according to contents of a Monday conference call leaked to Bloomberg. Trump’s statements that a federal judge’s Mexican-American background means he has a conflict of interest in the case have put fellow Republicans in a tough spot, having to criticize his comments but defend their support for their party’s presumptive nominee. This article was updated on June 7 to correct the parent company of Allison+Partners. It is a MDC Partners firm, not a Next Fifteen firm.